Jesus as depicted in the Fourth Gospel is remarkably dissimilar to the Jesus found in the Synoptic Gospels. 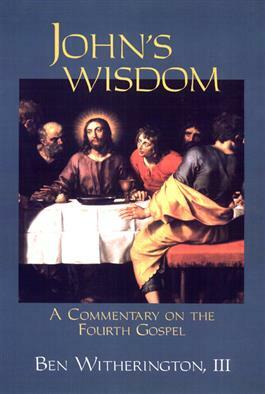 In this book, Ben Witherington III places the Gospel of John within its proper literary, historical, social, and theological contexts, especially those dealing with the wisdom traditions of Hellenistic Judaism. What emerges is a compelling argument that the Gospel of John has an agenda for mission in addition to concerns for discipleship and community life.